The Congress has announced that it will adopt a policy of Ekla Chalo Re in the key states of Andhra Pradesh and West Bengal for the Lok Sabha polls scheduled in April-May 2019. This comes days after the party appointed Priyanka Gandhi as General Secretary and in-charge of Eastern Uttar Pradesh. This has punctured the hopes of a nationwide mahagathbandhan to take on the Bharatiya Janata Party (BJP) and Prime Minister Narendra Modi. After months of parley, no concrete movement has taken place regarding the grand alliance and the one-to-one-contest concept. The last nail in the coffin was hammered by Bahujan Samaj Party chief Mayawati. The day the mahagathbandhan for Uttar Pradesh was announced, she attacked the Congress with the same intensity with which she attacked the BJP. The Congress had no choice but to dump these efforts and focus on doing well on a standalone basis. With less than a 100 days left for voting, the party chose to stick to the partners who are already a part of the UPA, rather than look for new partnerships now. This is a big setback for anti-Modi forces in the country. Many people are already blaming the Congress for its failure to bring the whole Opposition under one roof, suggesting that this will help the BJP. The Grand Old’s Party victory in the three Hindi-heartland states has boosted the morale of the party workers. The formal entry of Priyanka Gandhi, party strategists feel, will improve the party’s prospects among the youth and women. It will also provide a fillip to its UP prospects where, with just two seats, the Congress has nothing to lose. The party is likely to damage the prospects of both the BJP and the SP-BSP alliance by attracting votes from the core constituencies of Brahmins (BJP) and Dalits-Muslims (SP-BSP). Congress strategists feel it is in a better position to defeat the BJP nationally. Regional parties can tame the BJP in some states, but it is up to the Congress to defeat the saffron party on a pan-India basis. Many regional parties have been formed out of anti-Congressism. Trinamool Congress is a splinter group of the Grand Old Party, though it is now the bigger brother in Bengal. The Telugu Desam Party has always been opposing the Congress tooth and nail in Andhra. Parties like the TMC and Aam Aadmi Party, even SP-BSP, have complementary vote blocks as the Congress – Dalits, minorities, the poor and downtrodden. Allying with regional parties disturbs the Congress’ long-term strategy of growing and becoming strong in these states. This means that in 11 states, accounting for half of the Lok Sabha strength, the contest is likely to be triangular or multi-cornered. Two opinion polls aired recently, one of C-Voter and another of Karvy, predicted a hung Parliament. In this scenario, the Congress doesn’t want a situation where the parties it forms mahagathbandhan with, go on and support the BJP after the polls. 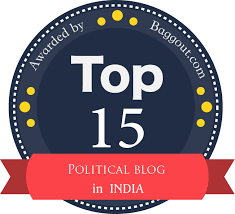 Many regional parties have been with the NDA in the past or have formed governments with the BJP’s help – Trinamool, TRS, JMM, TDP, PDP, INLD, RLD, BSP, JDS, HAM, RLSP, BJD etc. The opinion polls show that regional parties are likely to play a key role in government formation at the Centre. If they gain strength at the expense of the Congress, then it even dilutes the prospects of Rahul Gandhi to emerge as the PM candidate. The objective is to keep the BJP out of power and at the same time not let regional parties get the entire benefit of reversals, which the BJP is likely to face. Many think that the Congress is not able to transfer votes to partners it forms alliances with, and that’s why the party was left out by SP-BSP in UP. While it is not completely wrong, the Congress thinks these parties do not bring any additional votes to any party outside their home turf. Neither Mamata, Naidu nor Akhilesh can get the Congress votes in Gujarat, Maharashtra, Rajasthan, MP, Chhattisgarh, etc. Being a national party, the Congress cannot accept paltry seats in states where it is not that strong, as it will not send a good message. It alone cannot be expected to follow coalition dharma, for a larger cause. And such states account for one-fourth of the Lok Sabha’s strength. Decision to Have a Likely Impact on Bihar? The Congress has an alliance in place in four states, accounting for one-fourth of the House’s strength. The seat-sharing discussions in Bihar have become complex with seven-eight parties entering the fray for 40 seats. The Congress is also unhappy with Tejashwi for meeting Mayawati after her scathing attack on the party, and promising her one seat from Bihar. The two main parties are also divided over the 10 percent reservations issue, as Congress aspirants are mostly from the forward castes, while the RJD has been championing for the rights of backward classes. To sum up, one-to-one contest has gone for a toss, and the mahagathbandhan has died even before it was born. 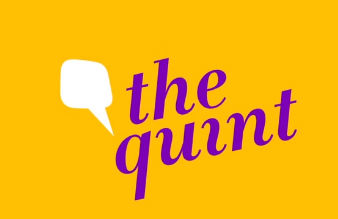 This article was first published on thequint.com on 29 Jan, 2019.